Chamberlain, Ava. The Notorious Elizabeth Tuttle: Marriage, Murder, and Madness in the Family of Jonathan Edwards. New York: NYU Press, 2012. Perry, Anne. A Christmas Garland: A Novel. New York: Ballantine Books, 2012. Benison, C. C. Eleven Pipers Piping. New York: Delacorte Press, 2012. One of the unexpected outcomes of my recent DNA testing with Ancestry.com has been filling in some holes, especially on non-direct lines, in my genealogy database. I knew that I had some holes that needed to be filled because I had data that was still primarily in notebooks or file folders. I kept thinking I would pull those folders and notebooks out, but I just never did. The primary means of connecting with your matches with Ancestry DNA is via the Ancestry trees. I knew that I needed to begin one for my family and properly document it. I didn't just want to import my whole GEDCOM. I wanted to force myself to take a look at what was being entered and to make sure that my data was clean and properly documented before making it publicly available. My tree is still listed as private, but I've now attached what is there to my profile so that people can see that I've got something there. What is there at this point will not be that useful to people, because I've only got data through my gg-grandparents there with documentation complete for grandparents. I'm working on their parents and siblings at the moment and taking those lines forward as much as possible. Then I'll slowly go back a generation at a time, working on the forward lines also. I suspect that putting those "forward" lines in are what will help me connect with others. I've already been quite surprised at how much new data is available for some of my cousins that I did not have. I've been able to add marriage dates (or at least marriage license dates) for some, where I only had a name of spouse. Some have given me an estimate of the spouse's birth date which I might not have had from the family sources I had acquired over the years at reunions. Of course, I'm attaching records to the Ancestry family trees. I need to go back and add some of my non-Ancestry.com sources to the grandparents' generation. I've done it for my parents. I will slowly add those things into the record. They are in my Rootsmagic database for the most part. It's just going to take time. In the meantime, I've actually prepared ahnentafels from each of my grandparents so that I can share these with "matches". The ahnentafels have birth, marriage, death dates and locations but no sources. It makes it quick for people to see if they can spot a match. It's not 100% ideal, but it does accomplish the purpose of identifying relationships until my database is back to a place where it will be useful for some of the distant cousin matches. This task could become overwhelming as I've got thousands of people in my current genealogy database. However, I'm not going to delve as much into some of the collateral lines as I have in my main database where the families are not related. I'm trying to focus mainly on the descendants of my actual ancestors, including spouses where known. It's a nice way to clean up my database and expand my knowledge of some ancestors or descendants of ancestors that I haven't visited in a long, long time. Ayres, Katherine. Family Tree. New York: Bantam, Doubleday, Dell, 1996. Tyler Stoudt has the strictest 6th grade teacher this year. She finds out that most of the year will be spent working on a family tree project that will be tied to just about everything else they study. There's only one problem. Tyler has no one besides her father. Her mother died before she was born. She's never met any of her grandparents. She knows her father's nationality is "Deutsch" and that her mom was "English." Imagine her surprise when she finds that her Dad's family was Amish and shunned him when he married her mom who was from Massachusetts. Tyler works very hard on her family tree and pieces together a lot of information. Of course, Tyler's project brings about some happy outcomes in regards to her family life as well. This is a great book to interest kids in genealogical research. Because I have Amish ancestry as well, I understood the differences in that culture more than some readers might. My one minor quibble with the book is that Tyler's Amish family was from Germany, and although some Amish families were in Germany, most of my Amish ancestors were Swiss. I would have preferred for the author to have made the Amish Swiss with perhaps a brief migration through the French Alsace region to show that "Deutsch" does not necessarily mean German. Still this is a good book to use with about 4th to 7th grade children who show an interest in genealogy or that you would like to gain an appreciation for it. By the way, it really doesn't go into a lot of methodology but relies more on interviewing relatives. It's really just a book which will perhaps give them enough information to get started. A parent or grandparent who has some experience could easily steer the child in the direction of more and better resources as the child is ready. This is part of my Friday series on children's literature and genealogy. Do You Need Diacritics and Letters from Other Languages? If so, publisher E. J. Brill has made available the new "Brill Fonts" as a downloadable package. More than 5100 characters are available in this package. There is an End User License, but it's freely available to those accepting the license's terms. It had been about a week and a half since I last reviewed my matches at Ancestry DNA. To my great surprise, I had over a dozen new matches to review. (Well some were not easily reviewable because of the lack of a tree at Ancestry or because the tree was private. I have to confess that my tree is not yet linked and is private as I just started it when I got the results and saw how useful it was. However, I refuse to make mine live until I can have a fully documented one. I've got about 5 generations in there at the moment, but I'm taking the time to make sure that my own RootsMagic software is up to date. I'm manually entering the tree at Ancestry. Sometimes I have to add a generation or two back so that I can match the data to everyone in the family. Although I like the ability to link the record to everyone in that record. I'm also discovering errors in other people's research where they've linked a wrong record to someone. I ignore those. I'm also largely ignoring the matching member trees. I'm not adding the trees so that my tree is taken over by work I haven't conducted, but I am sometimes reviewing them to see what types of documentation they have. So far, I've uncovered nothing I didn't already have, but then I'm working on the generations closest to me. Of the dozen or so new matches I discovered, I was able to identify he common ancestor (or in one case the ancestral line) on three. On the first new match, Ancestry predicted that we would be 4th to 6th cousins. I found our common ancestor was Gabriel Fowlkes (the Immigrant) who was born about 1696 probably in Denbighshire, Wales. We appear to be 7th cousins twice removed. So much for the 4th to 6th range. I didn't spot any other possible match. I'm descended through Gabriel's son Col. Gabriel Fowlkes; the other person is descended through his son Joseph A. This is my paternal grandmother's father's line. On the second match, Ancestry predicted 4th to 6th cousins. This was more accurate as I found that we were double fourth cousins once removed. It's one of my Amish lines off my mother's father's side. Common ancestors are Christian Lantz & Maria Hertzler and Jacob Yoder & Mary Keim. I'm descended through Levi Lantz, son of Christian & Maria and Barbara Yoder, daughter of Jacob Yoder & Mary Keim. These two married. The match was descended from Christian & Maria's son Jonathan and Jacob & Mary's daughter Anna. By the way Levi and Jonathan were apparently very close to one another as they both moved from Ohio to McLean County, Illinois together. The third match is one that Ancestry predicts to be 4th to 6th cousins as well. The problem is a brick wall that is shared by many of us on this Thornton line. My earliest proven ancestor is Richard Thornton b. abt 1790 in SC; married Agnes Barnum 16 May 1817 in Franklin Co., GA; d. 2 Nov 1862 probably in Fayette County, AL. It could have been Winston or even Walker because he lived so near the county lines, but his home was in Fayette. Birth date is based on census. The marriage and death dates (and even the maiden name) come from the mother's pension file that Agnes filed when her son Martin died fighting for the 1st Alabama Cavalry USA in Nashville. The other person is from a line that Y-DNA has proven to be a match for our line in the South Carolina E group. Years ago when I first began researching the family history, Dad had made a comment that he thought there was a line of Thorntons that had gone to South Mississippi to which we were related. Well, apparently the one who went there was William Stallworth Thornton (b. 8 Jan 1792 in Abbeville, SC; d. 2 Nov 1878, Heidelberg, Jasper Co., MS) who married Elizabeth Walker. This person identifies the father of William as Eli Thornton (b. 1752 Orange Co., NC; d. 1819 Edgefield Co., SC) who married Mary Davison. The father of Eli is identified as Thomas Thornton (b. 1709 Isle of Wight Co., VA; d. 20 Apr 1762 Perquimans Co., NC). [By the way, Perquimans County is probably erroneous as the place of death based on other research I've seen which is better documented.] One of our DNA matches also took the family back to Thomas and Martha, although his book identified Thomas as Jr., Thomas' wife as Martha Unknown, and his mother as Martha Boykin. The author of the book, Kenneth William Thornton, had told me that he believed his earliest generations were probably erroneous. There was a series of three articles published in 2008 in North Carolina Genealogical Society Journal which was entitled "Descendants of Matthew Strickland" written by Forrest D. King, CG. In the second installment, published in the August 2008 issue (vol. 34, no. 3, pp. 219-252), there is a section on "Daughter of Thomas Boykin and their Strickland Husbands." In this section, Forrest identifies the Thomas Boykin who married Martha as the Jr. with his father being the Sr. with an unknown wife. The article does show strong ties between the Thornton, Boykin, and Strickland families. I have had autosomal DNA matches with persons showing all three surnames in their pedigrees. So what does this mean? It means that there is hope in resolving the Thornton brick wall. I'm going to begin trees for our various DNA matches, especially the ones going to this one and to another match I had earlier through a Jamima Thornton, daughter of William Thornton who married Mary Lula Woolsey, whose father was said to Abraham Thornton who married Elizabeth Martin, who is identified as the son to Thomas and Martha by the researcher whose autosomal DNA matched. There's one other person over on 23 and Me with a tree that matches the Thornton line. I've got some Boykin surname matches that I probably need to pursue as well, but I can do that as I get these lines back to the Boykins in my own research. I think it's time for the Thornton brick wall to come crashing down! Hopefully these DNA match discoveries can do it. Macomber, Debbie. Angels at the Table. New York: Random House, 2012. Last night I decided to go visit the Amis Mill Eatery in Rogersville that some of my church friends had been raving about on Facebook -- at least I thought it was in Rogersville. It was really out in the boondocks. It took some winding around some nice hairpin turns on the mountainside to get there. I saw that they had catfish on their menu. Since I had not had decent catfish since I'd been in East Tennessee (I did grow up in Mississippi--the catfish capital), I decided to try that as a test of how they measured up. I will say that they have the best catfish in East Tennessee that I've tried to date. It doesn't live up to Friendship House in Monroe County, Mississippi which is the "gold standard" as far as I'm concerned. 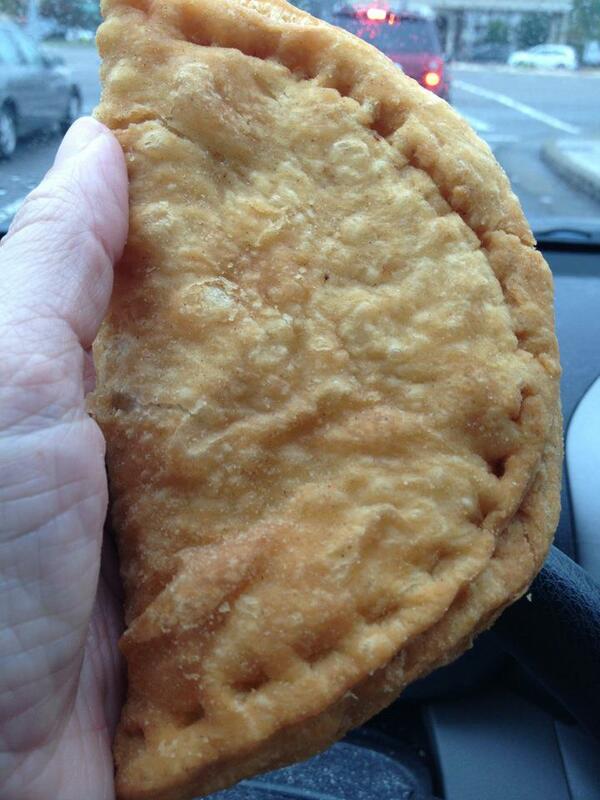 However, it was quite crispy. I think the problem was probably with the catfish itself. Mississippi has catfish on farms. This was probably a channel catfish where the flavor is not quite the same. However, I do believe that it lives up to its reputation for food quality. I saw several families from our church there. The drive there was nice. There was color on some of the trees in places. I loved the pastoral scenes between Russellville and "Rogersville." There were some very interesting church buildings that would make great photos. I'll have to go back sometime when I can take my time going there so I can be a photobug! 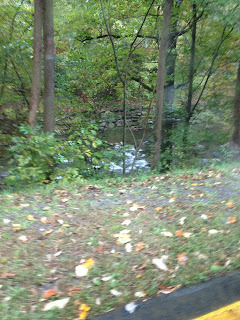 The above photo shows the waterfall across the road from the Amis Mill Eatery. Warren, Andrea. We Rode the Orphan Trains. Boston: Houghton Mifflin, 2001. This is a part of the Friday series on children's book and genealogy. I'll be speaking at the Tennessee Genealogical Society's Seminar on November 3 in the greater Memphis area. 9:00-10:00 am Alabama & Mississippi Resources - An overview of Alabama and Mississippi research. 10:30-11:30 am The Basics of DNA for the Family Historian - An overview of what one can learn about their family history through Y-DNA, mtDNA, and autosomal DNA results. 11:30 am-1:00 pm Lunch Break You can enjoy lunch at one of the nearby restaurants or you may bring a bag lunch. Drinks will be furnished on site. types of records created by Baptists and where these records are located. 2:15-3:15 pm Exploring Your Ancestor's World with Maps - Learn why maps were created and how they can be utilized in your research. Find print and electronic maps for your ancestral research. What Did Your Ancestor Read? Have you ever wondered exactly what your ancestor (assuming he was literate) might have read? If your ancestor lived in the Southern United States prior to the Civil War, there is a great bibliography which may give you an idea. Gilmer, Gertrude C. Checklist of Southern Periodicals to 1861. Boston: F. W. Faxon Co., 1934. My Alabama ancestors might have read Soil of the South which later merged into American Cotton Planter to form American Cotton Planter and the Soil of the South. (p. 67) I'm pretty sure that most of my Alabama lines avoided the temperance magazine/newspaper published in Tuscaloosa called Crystal Fount. The checklist also contains many denominational publications, especially those published by the Baptists. There should be similar guides to materials from other parts of the country. As I have been working on moving many of our Reference books to circulation or storage, I came across a rather interesting English funeral custom in one of the books. While I knew that it was common in many places to bury criminals and suicides outside the gate of the cemetery in many places in America, I had never given much thought about the actual placement of the graves. I began to think of the Hester Cemetery in Monroe County, Mississippi where I know that some of the burials were originally outside the gates for that reason and later enclosed to minimize vandalism. They are not on the north side. The ones I know of were all on either the south or western sides. I guess that custom didn't continue in America. Are burials still facing east? In the cemeteries with which I am most familiar, most of them are. What about clergy members? Are they opposite? I simply don't know. This certainly gives me some things to ponder at my next cemetery visit. * Charles Kightly, The Customs and Ceremonies of Britain: An Encyclopaedia of Living Traditions, (London: Thames and Hudson, 1986), pp. 120-121. I'm trying to remember at exactly which conference Marcia and I first met, but I honestly don't remember. I remember eating with her while she was at the FGS Conference in Knoxville. Marcia & Mark talk to one another at NGS in Charleston. Marcia, Beverly, and I roomed together at the NGS conference in Charleston, South Carolina. That was an adventure. I remember that there was a walk with a bridge between the convention center and the hotel. Marcia would wear her little hat with a headlamp at night to make sure she could see the path. We had a great time at that conference. I tended to stay up a bit later visiting in the lobby than Marcia and her sister did, but we all had a great time and a good visit. We, of course, saw each other at various conferences through the years and have kept in touch via Facebook. I was so happy that she was able to come to FGS this year in Birmingham this year. Now that I've received the sad news of her passing, I'm even happier that I got to spend a bit of time with her at that conference. A couple of weeks ago, she made a comment about not having decent barbecue within 500 miles of Coos Bay. I asked her if she was coming to Knoxville to get some. (Everyone still raves to me about the BBQ we had at the FGS conference there.) She had replied back that it sounded like a good idea to her, so I've been looking forward to her visit. When I last spoke with her on Facebook, she was at the airport awaiting her flight to Canada to see her daughter and her daughter's family. I didn't know that would be the last time we ever "spoke" here on this earth. I'm missing a great friend, and my heart goes out to Beverly and to the rest of Marcia's family. Earlier this week, I cataloged a book that fascinated me. I don't have time to read it right now, but it's one that I want to read. It's a biography of a Lithuanian Jew named Eliezer Ben Yehuda who is responsible for "resurrecting" the Hebrew language. St. John, Robert. Tongue of the Prophets: The Life Story of Eliezer Ben Yehuda. Garden City, N.Y.: Doubleday, 1952. I'm looking forward to reading it when I have an opportunity to do so. Perl, Lila. The Great Ancestor Hunt: The Fun of Finding Out Who You Are. New York: Clarion Books, 1989. This is part of my Friday series on children's books and genealogy. Earlier today, I received my Ancestry DNA results. There's been a lot of discussion lately about the limited usefulness of their results without the chromosome data to accompany it. Since I had been tested earlier by 23 and Me earlier, I can attest to that fact. When I tested with 23 and Me, my results showed that I was 100% European. While my Ancestry DNA results do not disagree with that, they certainly provided a quite unexpected surprise, but there are also some interesting questions raised about the accuracy of the Ancestry DNA origins interpretation by the matches I have discovered. At first I wondered if my Amish ancestry from Switzerland was showing up in this strange 9% category. I looked. There was one potential match there among those tested. The person was in the 5th to 8th cousin category, and I found no common line among the ones I quickly reviewed. I'll have to explore the match a bit more because I'm curious. I then began looking through my British Isles matches. To my surprise, I found a couple of my Amish matches showing up as British Isles. How did those Yoders, Hartzlers, and Reichenbachs (or Rickenbachs) end up showing up as being of British Isles origin? Most of them made their way from Switzerland to France (Alsace Region) to Pennsylvania. I've found a definite match on an Aldridge line. I've found potential Davis and Taylor matches as well. None of those surprise me as being British Isles in origin. I'm still quite puzzled about that 9%. When I add a generation, I have these names to add: Barnum, Parker, Hertzler, Keim, Rathbone, Perkins, (possibly) Hunt, Pridgen, Davis, and Murry/Murray. All of these are British Isles or Swiss. If I go back another generation, all the names are likely British or Swiss. Although one could possibly be French. Sure - there are a few unidentified ancestors (mostly female) but it's still odd that I have a 9% match, especially when the Swiss are showing as British. I'm wondering if everyone has such puzzling results. I certainly wish I had more matches on this 9% ethnicity. I also wish I could make a definite match; however, the results state that I may be unable to determine the match at that distance of relationship. I can certainly try though! Now, I'm off to study some more matches. In Exodus 16, we see the people of Israel preparing for and taking a break from their travels and manna gathering. In the midst of the Ten Commandments, the principle is reiterated with the command to keep the day holy. Whatever happened to this principle? It seems that today, everyone is busy 24/7. We don't take time to "wind down." We end up so weary and tired. We are not taking time to renew ourselves. It makes us lose the energy we need to accomplish the tasks set before us on many other days. Up until the last 50 years or so of America's history, "blue laws" were pretty commonplace. For those of you who are not familiar with that term, they were Sunday closing laws which prohibited certain types of businesses from operating on Sundays. No one is exactly sure why they were called "blue laws." Some claimed that these laws were printed on blue paper. However, many historians question this claim. Others believe the "blue" part comes from the "bluenose" connotation associated with their strict moral standards. This is the explanation commonly accepted today. Whatever the connotation, many of the blue laws are either no longer on the books or are not enforced. The exception, of course, is in regards to sales of alcoholic beverages in some locations. Even these blue laws are falling in some places. The Sabbath for Jewish persons typically falls from sundown Friday night until sundown on Saturday. Christians usually observe Sunday as their Sabbath. We all need a Sabbath of rest. My tiredness of this past week merely reinforced this principle for me. I had worked too many days in a row without a break. Yesterday, I took that break by taking a nice relaxing drive through the mountains and visiting some places I enjoy. I realize that this drive violated the distance one was allowed to travel in the Old Testament, and I realize that some of the commerce in which I engaged on my trip also violated it. However, I did get a rest. I was able to revel in some of God's creation. Today is Sunday. I've participated in worship services this morning at my home church. I will be working with our youth choir, participating in the evening worship, and participating in a rehearsal for our Living Christmas Tree this evening. Are you taking a rest so that you may be refreshed? Everyone has been talking about apples. They are "in season" right now here in East Tennessee. 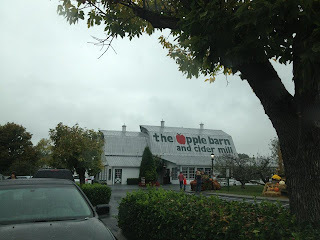 I decided that I needed to visit Sevier County today so I could go to my two favorite apple places as well as to spend a little time just getting away. 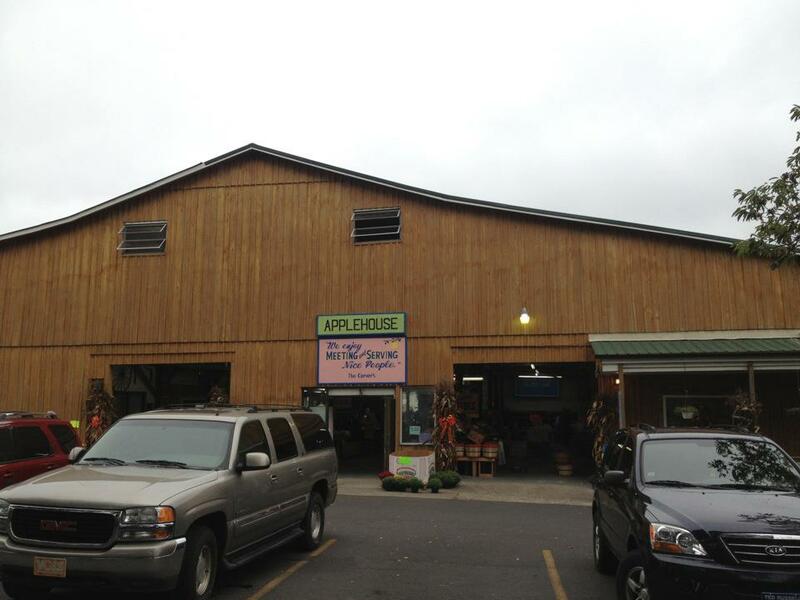 The first stop was the Apple Barn in Sevierville. 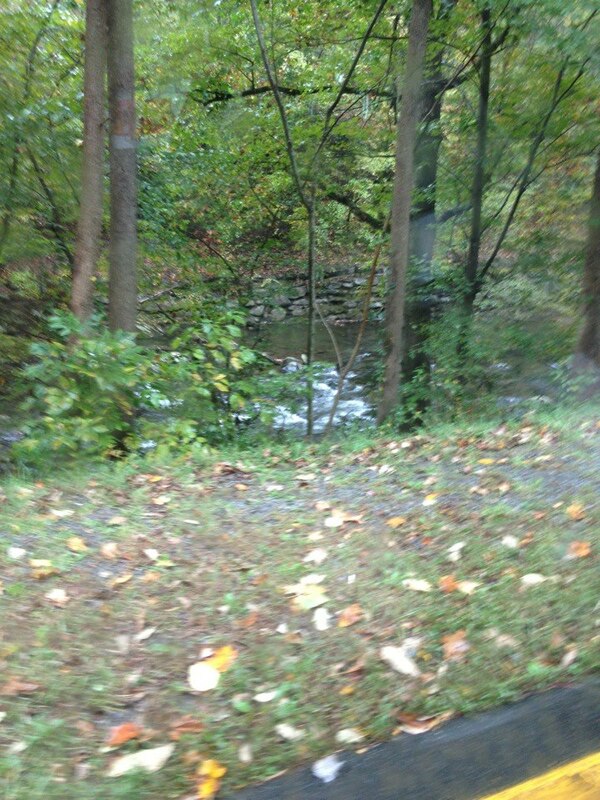 As I was driving between Pigeon Forge and Gatlinburg, I noticed how low the mountain streams were. It's a bit higher at this point because of the rapids, but you could easily walk across on the rocks in most places. The source mentioned three individuals who founded the association in the city of Philadelphia--Melvil Dewey (better known for his Dewey Decimal System of arranging or classifying books), F. W. Poole [sic - it's W. F. standing for William Frederick] (better known for indexing periodical literature), and Charles Cutter (better known for those little numbers that go under the Dewey Decimal Classification number that allow us to alphabetize by author (or title) under a number). I thought it would be fun to locate the trio in the 1880 census. Melvil Dewey is age 29, living with his father-in-law Benjamin D. Godfrey, on Otis Street in Newton, Massachusetts. He's listed as an editor. Godfrey, Benjamin D., W, M, 68, --, without, Mass., Mass., Mass. 1880 U.S. Federal Census, Middlesex County, Massachusetts, population schedule, Ward 3, Newton, p. 73A-B (stamped), s.d. 60, enumeration district (E.D.) 475, sheet, 36, dwelling 319, family 345, Benjamin D. Godfrey household; digital image, Ancestry.com (http://www.ancestry.com : 2 Oct 2012); citing NARA microfilm publication T9, roll 546. We find William F. Poole in Evanston, Illinois in 1880. He is listed as a librarian. We know from many other sources that this was at the Chicago Public Library. Poole, Wm. F, W, M, 58, --, Librarian, Mass., Mass., Mass. --, Fannie, W, F, 46, wife, keeping house, Penn., N.Y., Conn.
--, Annie, W, F, 22, daughter, at home, Mass., Mass., Penn. --, Mary, W, F, 20, daughter, at home, Mass., Mass., Penn. --, Wm. F., Jr., W, M, 12, son, at school, Mass., Mass. Penn. 1880 U.S. Federal Census, Cook County, Illinois, population schedule, Evanston, p. 256B (stamped), s.d. 1, enumeration district (E.D.) 217, sheet 4, dwelling 51, family 51, Wm. F. Poole household; digital image, Ancestry.com (http://www.ancestry.com : 3 Oct 2012); citing NARA microfilm publication T9, roll 201. Charles Cutter is in Winchester, Massachusetts in 1880. His extended family is living with him. He is listed as the librarian at the Athenaeum in Boston. Cutter, Charles A., W, M, 43, --, Librarian (Athenaeum, Boston), Mass., Mass., Mass. --, Sarah F., W, F, 41, wife, keeping house, Mass., Eng., N.H.
--, Louis F., W, M, 15, son, at school, Mass., Mass., Mass. --, Philip C., W, M, 13, son, at school, Mass., Mass., Mass. --, Roland N., W, M, 11, son, at school, Mass., Mass., Mass. Bradbury, Charles W., W, M, 48, brother-in-law, traveling salesman, Mass., Mass., Mass. --, Louise A., W, F, 43, sister-in-law, at home, N.H., Eng., N.H.
Cutter, Charlotte A., W, F, 64, aunt, at home, Mass., Mass., Mass. --, Cordelia, W, F, 65, mother, at home, Mass., Mass., Mass. 1880 U.S. Federal Census, Middlesex County, Massachusetts, population schedule, Winchester, p. 86B (stamped), s.d. 60, enumeration district (E.D.) 385, sheet 64, dwelling 621, family 632, Charles A. Cutter household; digital image, Ancestry.com (http://www.ancestry.com : 3 Oct 2012); citing NARA microfilm publication T9, roll 539. Here are the ALA founders from 1880. I may have to be a bit nosy. I'm now curious as to whether the younger Mary Callahan in Charles Cutter's household is related to the older one in the household with Melvil Dewey. I also want to know if Charles Bradbury is descended from Mary Perkins Bradbury, one of those convicted as a witch in 1692, although she managed to escape. Taylor, Maureen Alice. Through the Eyes of Your Ancestors. Boston: Houghton Mifflin, 1999. This book, intended for a juvenile audience, is a good book to use with young people who are just beginning their genealogical research. Some parts of the book are dated. No one talks about "Usenet" any more. USGenWeb has moved to a different web address. Ancestry.com has greatly expanded, and its description just doesn't show how important it is as a paid site. Some web sites are no longer in existence. Other sites such as FamilySearch which are not mentioned are of great importance. However, this book makes points throughout it that a beginner needs to hear. Always document your sources. You may need to research the background of some things in order to fully understand them. You may need help with records for immigrant ancestors if they are in languages other than English. Even though I wish Maureen would update this for today's researcher, it is still helpful. The stories told should keep the reader's interest. 4 stars. This is a part of my Friday series on Children's Literature and Genealogy. The Frisco Railroad (also known as the St. Louis-San Francisco Railway Company) played an important part in the history of the town in which I grew up. When the railroad came through, the town of Cotton Gin Port (in Monroe County, Mississippi) became a ghost town virtually overnight. The people relocated to what became known as Amory. I found a very interesting article by Martin M. Pomphrey on the railroad in one of the books we've been relocating at work. While the article is too short to tell me much about the railroad's influence on my home town specifically, it does provide an overview of the railway and contains a map of its routes in 1980. Incidentally, it no longer went to San Francisco at all. It only went to Texas, Oklahoma, and Kansas. Pensacola and Birmingham were its eastern destinations. Amory was the half-way point between Memphis and Birmingham on the railroad, and there were a lot of persons employed by the railroad who resided there through the years. As you look at the censuses from various years, you can glimpse a bit of its importance as an employer. There were certainly members of my extended family employed by the railroad, and I've often been fascinated by Fred Veregge's Frisco Railroad site. More recently, the Springfield, Missouri library has digitized some of their special collection on the Frisco. The article by Pomphrey includes a bibliography of unpublished documents in smaller archives as well as published sources. It also notes that the corporate documents are in the St. Louis Mercantile Library. Pomphrey, Martin M. "St. Louis-San Francisco Railway Company." In Bryant, Keith L., ed. Railroads in the Age of Regulation, 1900-1980. (Encyclopedia of American Business History and Biography). New York: Facts on File, 1988. pp. 379-380. It should be noted that there are similar articles on other railways in the book that list the same types of resources. What a valuable tool for researching ancestors who worked for the railroads! Frey, Robert L., ed. Railroads in the Nineteenth Century. (Encyclopedia of American Business History and Biography). New York: Facts on File, 1988. It's amazing what you can learn from dictionaries of various sorts. We all know that spelling was not standardized for quite awhile so we will always find variations on spellings, particularly in early records. I knew that the state of my birth, Mississippi, meant "Great Water" and that its name came from the river. However, I did not know that "One of the earliest records of the name is that of Messipi in 1666. "* Now all those schoolchildren who have been trying to spell or pronounce the state with only one set of s's can try to claim that they are trying to revert to an earlier spelling or pronunciation of the state. * Adrian Room, Cassell Dictionary of Proper Names (London: Cassell, 1994), p. 354. The yellow fever epidemic of 1878 in Memphis, Tennessee was one of the worst epidemics in our nation's history. This book chronicles its journey up the Mississippi River from New Orleans to the Bluff City. The author has included more information on mosquitoes than most historical accounts include. She notes that no one knew the cause of yellow fever until the late 1890s and that most believed that creating sanitary conditions would thwart the progress of the disease. She has made extensive use of newspapers and archival and manuscript collections in her research. She has even utilized a few genealogical sources in her treatment of the subject. Her account is very readable and personal. She includes a great deal of information on the press in Memphis at the time. She includes a great deal of information on medical personnel from other cities responding to the crisis in Memphis and how it affected them. Her treatment puts the outbreak into its contextual history, making the book very informational for anyone wanting to read an account of what the city itself was like at that time. She also notes the response of other regions such as St. Louis, Louisville, and Cincinnati to the yellow fever outbreak. Persons interested in the outbreak in Greenwood, Mississippi of the same year will also find useful information in the volume. Her acknowledgments mention that Wayne Dowdy, a noted West Tennessee historian, reviewed an early form of the publication. Highly recommended for anyone interested in 19th century epidemics, Southern history, or the Memphis region. This review is based on an electronic galley copy provided through NetGalley for the purpose of review..
A couple of days ago, I mentioned an ongoing project at work to prune our Reference Collection. A lot of the materials are just being relocated to a storage location or to the regular circulating collection. The resource I'm featuring today is going into storage. It can still be used by persons, but a staff member will have to pull it. Barnhart, Clarence L., ed. The New Century Cyclopedia of Names. New York: Appleton-Century-Crofts, 1954. 3 vols. Jefferson City. [Former name, Mossy Creek.] Town in E Tennessee, in Jefferson County, NE of Knoxville, in a zinc-mining area: manufactures of iron, and cotton and wool textiles. It is the seat of Carson-Newman College. 3,633 (1950). Mossy Creek (môs´i). Former name of Jefferson City, Tenn.
Why did I choose these entries? Quite simply to show that some dictionaries which include place names may include former and/or latter names of places. If I had an ancestor who fought in the Battle of Mossy Creek and did not know that Mossy Creek was now Jefferson City, this would be a good means of learning that fact. It also gives me a brief profile of the community as it existed in the 1950s.